The S-300 series has evolved over time and each variant has developed different capabilities, requiring unique strategic considerations. First, the deployment of Favorit in Western Russia, Algeria, and Azerbaijan undermines NATO’s ability to defend and deter Russian incursions and influence in Eastern and Central Europe. [xix] The zone of Russian A2/AD expands well into NATO airspace and could severely restrict available allied flight space in the event of a conflict. The Big Bird radar’s 2,000-kilometer range could also jeopardize U.S. and NATO stealth operations across Europe. December 2015: Iran receives its first S-300PMU-2. 2015: Almaz-Antey announces it will cease production of all S-300 systems in favor of the S-350 and S-400 series. 2008: The last of the initial S-300PT systems are retired from Russian military use. 1997: Almaz introduces the S-300PMU-2 (SA-20B Favorit), featuring extended range and the ability to engage medium-range ballistic missiles. June 1996: India receives twenty-seven S-300PS systems. January 1996: Cyprus receives an S-300PS. 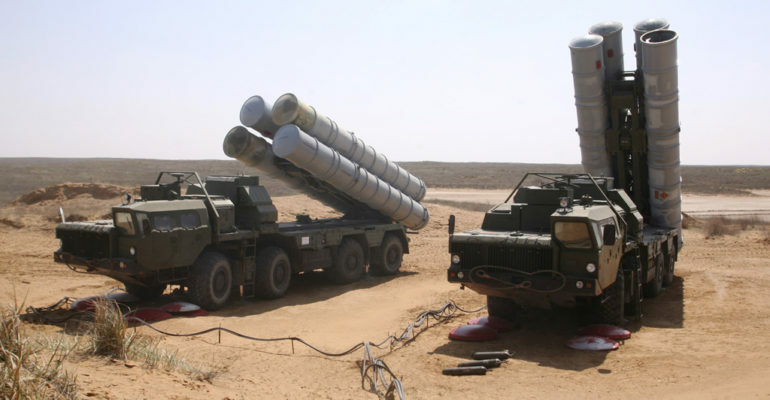 1993: Almaz begins production of the S-300PMU-1, a downgraded version intended for export sales. 1985: The Russian military receives the S-300PMU (SA-20A Gargoyle) “second generation” system, featuring 5N64S Big Bird advanced radar capable of tracking 200 targets and engaging 24. 1982: Almaz develops the improved S-300PS system, featuring a setup time of five minutes compared to the S-300PT’s thirty minutes. 1978: The S-300PT system enters service in the Soviet army. 1969: Almaz begins conceptual development of the S-300 BMD system.